It is our last day in Oman, and I woke up with a feeling of sadness that our trip through this beautiful country was about to end. After a quick breakfast, I drove Sarah and Shafiq to the airport. As we began preparing to leave ourselves, we met four young Canadian women, adventurous spirits who had came to explore and write about Oman. They are writing about their travels on their blog (www.arabianlala.blogspot.com). We had a good conversation about our expedition and they were very interested to learn more about future trips. We took group pictures with them before we left the hotel, then drove to the Turkish Embassy to meet the Ambassador Engin Turker. We had first met Mr Turker many years earlier when he was Turkey's Ambassador to Bahrain. The Ambassador was very pleased to meet us and we presented him with the latest copy of the Visitor's Complete Guide to Bahrain. 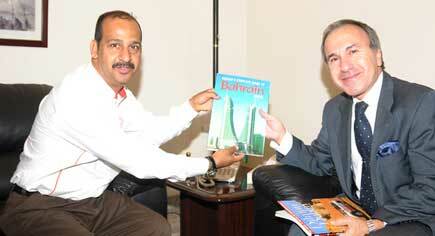 He talked to us about his love to Bahrain and Oman. Mr Turker is an outstanding ambassador for his country and I personally have learnt a lot, directly and indirectly, from him. I always call him my teacher. I’m sure you’ve all been there; the moment when you want to put your fist through your computer because your work has disappeared before you managed to save it or the internet fails for the nth time, an unhelpful message pops up on the screen and you just want to curl up in a corner and cry. Last night was one of those frustrating times when at the end of a long day we were filing our report home and disaster struck; our files would not go through. Happily we were rescued by Mahfoodh al Jaffari in the town of Al Askharah on the east coast of Oman who kept his internet café open until well after midnight (even though he normally closed at 10.30) and plied us with mint tea in true Oman fashion while we struggled with an uncooperative computer system. For him there was no particular reward other than our heartfelt thanks. 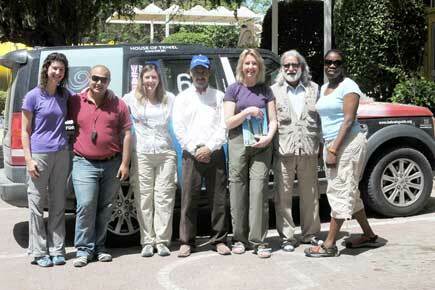 For us, it was another example of Omani hospitality and a new friendship unexpectedly forged. Four beaches in a day! Camping in the desert is an adventure not to be missed in Oman, if only to experience the peace and tranquility of a moonlit, starry night where the stillness and silence is only punctuated by the swish of the wind. I’ll admit to finding the night in my tent a little short, what with being woken at midnight by moonlight pouring through its walls and again at 5am when a watery sun filtered in. But, that aside, for me it was one of the highlights of our journey across Oman so far; to see a camel train strolling by at breakfast was slightly surreal. 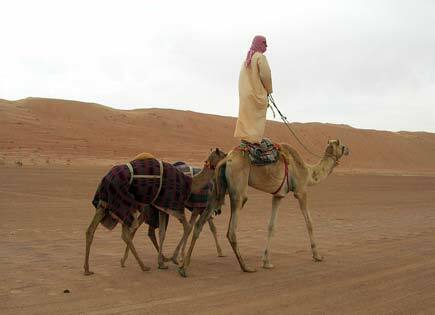 And, what on earth was that camel driver doing on top of his camel, as mother and off-spring sauntered across the dunes? Something akin to a circus-act but for me a far superior mode of transport in the desert than the roaring 4x4s in full-on “dune bashing” session this morning; boys and their toys! This morning we were sad to bid farewell to what had been our “home from home” at Hamad bin Nasser Al Hashimi’s traditional Omani village in Bahla. We planned to visit the famous Al Hoota caves nearby. Unfortunately, due to the heavy rains, the caves were closed for safety reasons and a “Plan B” was required. Happily our guide Mohammad had the perfect alternative; a trip to Wadi Tanuf, a short drive from Bahla. 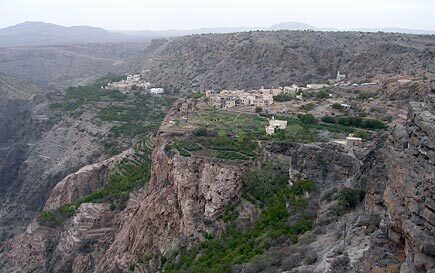 The approach to Wadi Tanuf took us past the ruins of the old village of Tanuf. Nestled at the foot of mountains, it is a maze of the remains of a hundred or more old buildings and makes an excellent place to explore on foot before heading to the Wadi itself. Arriving at the wadi we realized there was a benefit to the rains of the past few days; the wadi was full of rushing water, the vegetation lining the banks was a rich green and a beautiful waterfall was a cascade of shimmering, crystal clear water. 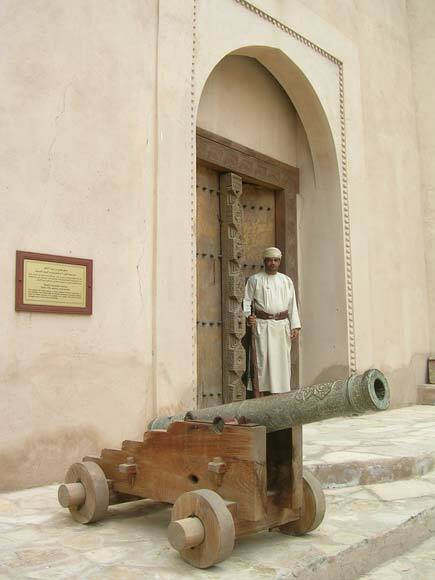 Omani hospitality is world renowned. And our experience this week has been no exception. In fact, we've spent the last two nights enjoying the hospitality of Hamad bin Nasser Al Hashimi at his Traditional Village on the outskirts of the town of Bahla. Mr Hamad is 17 years into a 20 year project to create a cultural centre celebrating traditional Omani crafts; providing a place where tourists can learn about Omani culture while enjoying a range of facilities. When it's completed, there'll be 45 guest rooms in traditional, Bedouin and modern styles, a Bedouin area show casing Bedouin life including live stock and farming techniques and a hall for enjoying traditional Omani food and drinks.